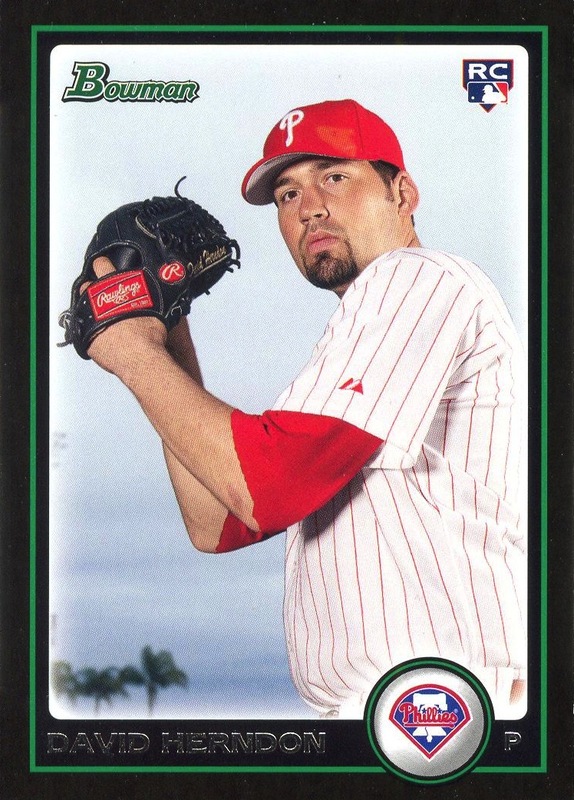 Although I was able easily resist the lure of the many different 2012 Topps Tribute relic cards, I must ambivalently report that my efforts to resist the various 2012 Topps Museum relic cards failed rather miserably. They are great looking cards, and if you are going to chase relic cards, these are the ones to get. I complain about Topps on awful lot, but I commend them for the multiple jersey swatch and the occasional patch piece occupying a significant percentage of the cards. I carefully chose which cards to acquire (I couldn’t obtained them all), but for once I have to say I’m pleased with a premium Topps product. Unlike the Topps Tribute checklists I finished posted on Monday, there will be plenty of sample scans for the various Museum checklists as I post them. 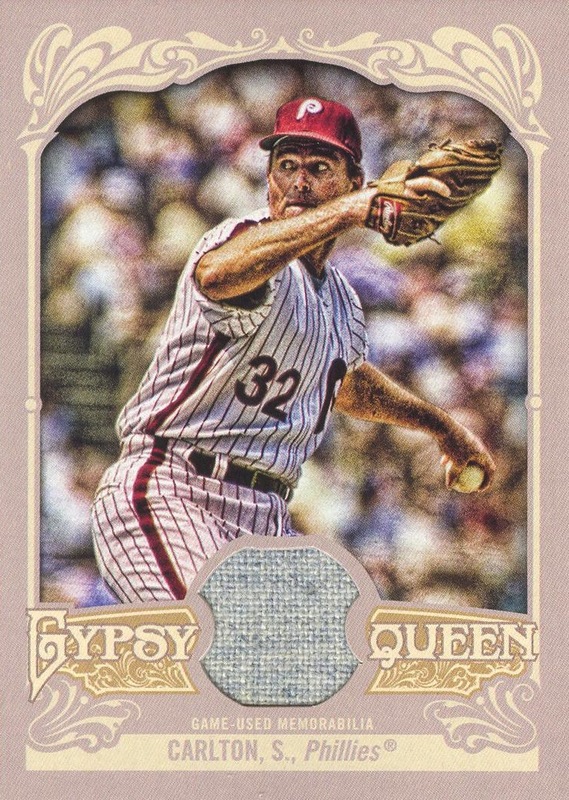 Further fueling the fire that quickly burned through the extra money I budgeted from the tax refund for card collecting was the recent release of Topps Gypsy Queen. I think this is the first time that I ever really wanted the mini parallels more than the base set. Why? Because the mini parallel set actually contains more cards than the base set. That’s right, the minis include all the variations of the base set and harbor a few of their own that are not in the base set. The only thing that would have made the Gypsy Queen minis perfect is if the Sepia parallels were the actual base set for the minis and not a specialty, serial #ed to 99 parallel. I don’t have the resources to try to obtain all the Phillies Sepia mini parallels, but I have acquired one and will be happy to have that at least a sample of them in my collection. 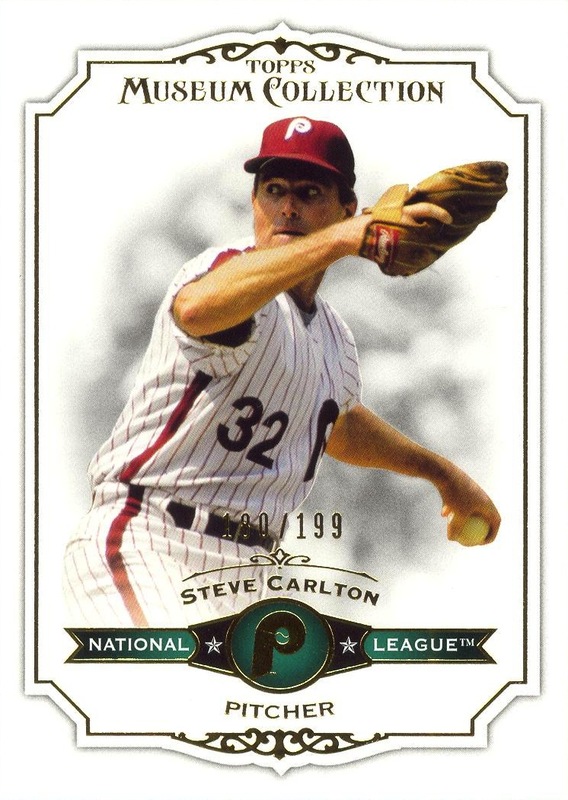 I must admit I am disappointed in the lack of memorabilia and autograph cards for Phillies in this year’s offering (not to mention the incredibly suspicious repurposing of a Steve Carlton photo from the Museum set), but given what Museum did to my budget, I shouldn’t complain too much. Finally, I noticed that over the weekend Beckett started hyping the impending, official Bryce Harper rookie cards — complete with MLBPA-sanctioned (but otherwise meaningless) Rookie Card Logo. I only bring this up because I continue to be puzzled as why anyone would be excited over this. As the staff of Beckett points out, he has already appeared on 248 different prospect cards — which Beckett argues do not count as rookie cards since they are inserts. I steadfastly refuse to accept this argument. As soon as Joe Savery’s Major League debut appeared imminent, I immediately tracked down his first couple Bowman prospect cards and added them to my collection. When he finally appeared in this year’s Heritage offering with the official RC Logo, I barely registered it with a shrug. However, having said all that, I must admit to one thing that I haven’t acknowledged in all my previous ranting and raving against the Rookie Card Logo: none of those prospects are actually appearing in base sets. I unintentionally downplay the importance of this, but the fact these prospects are at least relegated to only appearing on inserts cards is a huge frakking deal. Just see how many base sets Anderson Machado sullied with his presence back in 2002.